Reinhold Jewelers were looking to expand into an underserved market: high-end men's gifts and accessories. They came to The O Group looking for an identity that was as refined and distinctive as their target customer. Luxury shoppers aged 30 and up looking for unique, distinguished gift. Create an identity that was elegant but still masculine. We needed a mark that could translate to digital platforms, packaging, signage, and branded merchandise. We also needed art direction that showed the stores diverse range of offerings while remaining polished and considered. 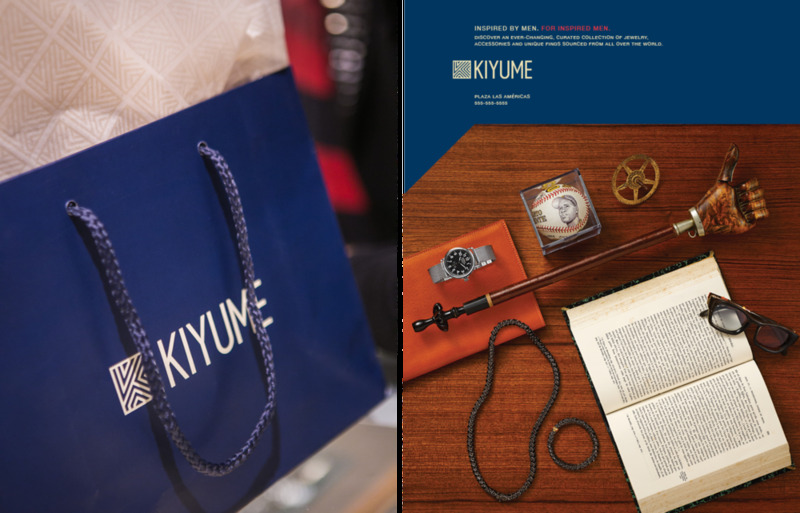 "Kiyume" means "male" in Swahili so we used that heritage as a jumping-off point. We looked at Bantu fabric from East Africa and started to create patterns based on traditional prints. We eventually landed on a highly stylized "K" mark with energetic lines, which could be endlessly adapted into derivative patterns.